Funen, Denmark, has plenty of charm, and much to offer its visitors, like picture-book coastal towns, grand Renaissance castles, rolling woodlands and open fields, and thatched farmhouses. Visitors will have opportunities to soak in the island’s exquisite natural surroundings by land or water, including biking, hiking, kayaking, and boating. Aebelo is a deserted Danish island that is situated just off of Funen’s north coast. This beautiful island covers a natural area of about 2.09 kilometers-squared. The island only has two inhabitants during the summer months, and is uninhabited during the winter months. Kaj Dindler owned the island between the years of 1938 and 1943. The island offers outstanding scenery, pristine beaches, lush forests, and gorgeous plains – where visitors may see deer and muflons. Visitors should bring binoculars, as there are many opportunities for wildlife and bird viewing. 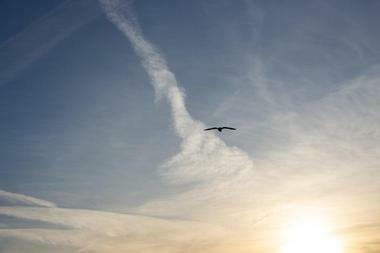 Breeding owls have been seen, majestic sea eagles, and many other bird and animal species. The island also provides fantastic fishing locations all around its shores. The Arkaden Food Market is a must-visit food experience when visiting the small nation of Denmark. In years past, Arkaden “The Arcade” was a place filled with party-people of all ages; as of 2018, it has become a place filled with a variety of closely packed booths that offer gastronomic experiences from all over the world. 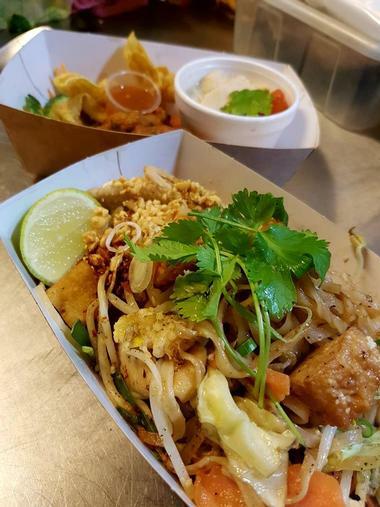 With 22 stalls positioned side by side, visitors can enjoy food experiences from both near and far, one after the other. The market offers everything from the traditional Scandinavian meals to the hard-to-get foreign delicacies. Visitors will also have their choice of specialty beverage bars that offer freshly ground coffee, cocktails, wine, and craft beer. Avernako is a picturesque Danish island that is located just south of the island of Funen. 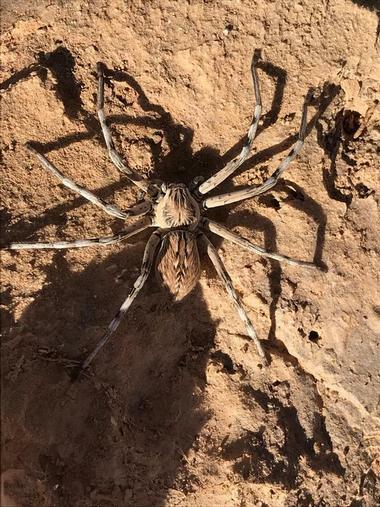 It covers a surface area of approximately six-kilometers-squared, and has nearly 100 inhabitants. Originally the island of Avernako was two different islands, “Avernak” and “Korshavn.” In the year of 1937, the islands were linked by a man-made dam named “Drejet,” having to do with its peculiar shape. The best way for exploring the Avernako is either by bike or foot, giving visitors the best chance of taking in all of the island’s nature and beauty. The island features a number of sandy beaches for visitors to spend a relaxing day on; there also several excellent fishing locations to explore. 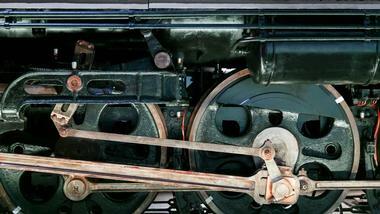 The Danish Railway Museum is Denmark’s national railway museum, located in the vibrant city of Odense. Established in 1975, the museum is situated within an old engine shed, near the city’s primary railway station. The museum is recognized as Scandinavia’s largest railway museum. There are several fascinating exhibitions that bring Denmark’s railway history to life with artifacts and staged scenes, like the 21 Tracks of Railway History, The Orange Rail-car Mover and the Olsen Gang, and H.C. Anderson and the Iron Horse. There are a few other exhibitions that are not to be missed, such as the Children’s Railway Station, Danish Railway Ferries, and Royal Trips. 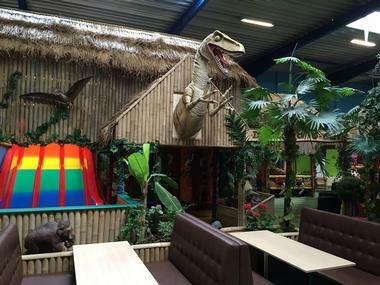 Dinos Legeland is a fun and exciting amusement park for children, located on Norrebrogade in Fredericia, Denmark. Kids can take a trip back through time, long ago when dinosaurs ruled the world; they can check out the different replica species that have been set up all around the interior, including Velociraptors, a Brachiosaurus, Tyrannosaurus, Spinosaurus, and Triceratops. Kids will have numerous recreational areas to choose from, like an area with several different slides, a large trampoline section, plastic ball shooters, bumper carts, a climbing area, and much more. Parents will have the opportunity grab a hot cup of coffee and jump on the wireless network in the café while the children play. 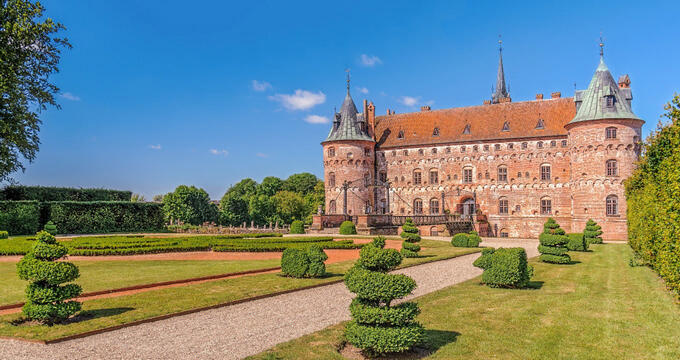 Egeskov Castle is a beautiful piece of architecture that is located in Kvaerndrup, on the southern part of Funen Island in Denmark. The castle represents one of Europe’s most well-preserved Renaissance water castles. 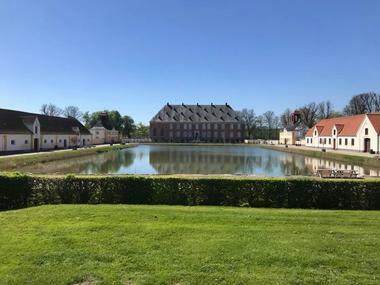 There are numerous collections and exhibitions for visitors to explore once they’re inside the castle, such as The Falck Museum, the New PUCH Exhibition, Grocery Museum, Motorcycles, The Old Media, Veteran Museum, and Bikes over Time. The Fashion Exhibition gives visitors a glimpse into what the fashion trends were like during the 1850 to 1900 time period. Visitors will definitely want to take the opportunity to explore the grounds around the castle’s exterior, as they’re perfectly manicured, and feature a number of breathtakingly-beautiful gardens. Faaborg Museum is a renowned art museum that is situated along Gronnegade in Faaborg, Denmark. The museum was closely connected with the influential artists’ colony that had emerged within the town in the late 1800s. Mads Rasmussen was the original founder of the museum, using his success from food-production factories to finance the curation of the collection. 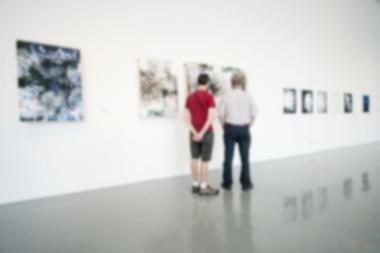 Visitors will see beautiful works of art by popular Funen painters like Fritz Syberg, Peter Hansen, and Johannes Larsen. There are several fun family activities around the museum for visitors to enjoy, including an Art Treasure Hunt, Art Kits for creating the next masterpiece, and Mazes to get lost in. 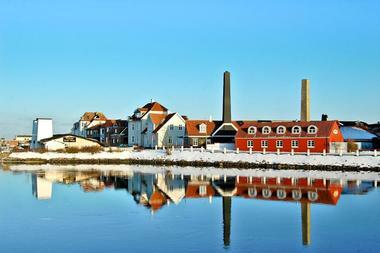 Fjord&Baelt is a museum that has combined its efforts to serve as both a research institution and tourist attraction in Kerteminde, Denmark. The center’s purpose is to, through school activities and services, research, and exhibitions, convey what life is like within the surrounding Danish waters. 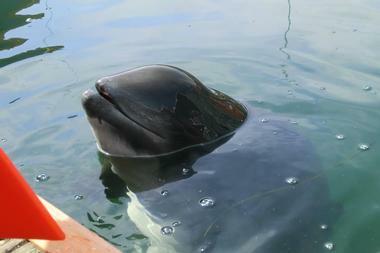 The main attraction is Freja, a harbor porpoise that’s been trained by the museum’s staff to participate in a variety of experiments for scientific and behavioral research. The museum features several exhibitions that cover different elements of marine life and history for visitors to explore. The underwater tunnel add another exciting element for visitors, giving them a unique underwater perspective without all of the hassle of diving gear (and cold water). 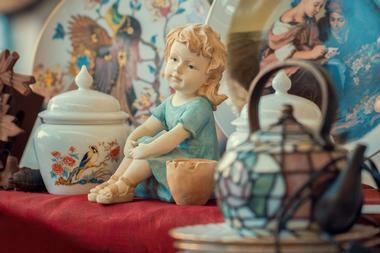 The Flea Market on Odense Harbour is a must visit for anyone visiting Funen, Denmark for the first time. The market kicks off in the last portion of March, and lasts until almost the end of October. The harbor gets jam-packed with vendors trying to sell their secondhand artifacts and items, while patrons push through from one stall to the next, trying to find that perfect gift for a friend or family member. It is the largest outdoor flea market in the area, and visitors will find plenty of booths to look through for the six hours they are open. Hans Christian Andersen Museum is a popular museum in Odense, Denmark that is dedicated to the famous author, Hans Christian Andersen. 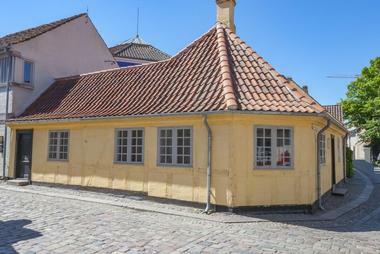 The museum is situated within the building that is thought to be his birthplace, a cozy yellow house at the corner of Bangs Boder and Hans Jensens in the city’s Old Town. The museum also features the works of Anne Marie Carl-Nielsen; old coins and medals; an archaeological collection; and historic photos taken of the city of Odense. Through exhibitions, visitors will have the opportunity to get a first-hand glimpse into the history, research, and conservation being done in the area. The Harridslevgaard Slot is a massive, historic castle that is located on Assensvej Road in Bogense, Denmark. The castle was previously dubbed the “robbery castle,” having to do with possibly being a refuge of some sort during the middle ages. At one point the waters from the North Sea went would come right up to the castle, providing its residents with magnificent ocean views. This is an excellent day trip for anyone wanting to enjoy a rich cultural experience, and appreciate some fine, historic architecture at the same time. The castle is perfect for many occasions, like gourmet dinners, weddings, and company events. Johannes Larsen Museum offers visitors a wonderful artistic experience within a museum setting in Kerteminde, Denmark. The museum is a fascinating historical and architectural environment, with artist Johannes Larsen’s home as the center piece of the museum, surrounded by a number of additional buildings of high architectural interest. 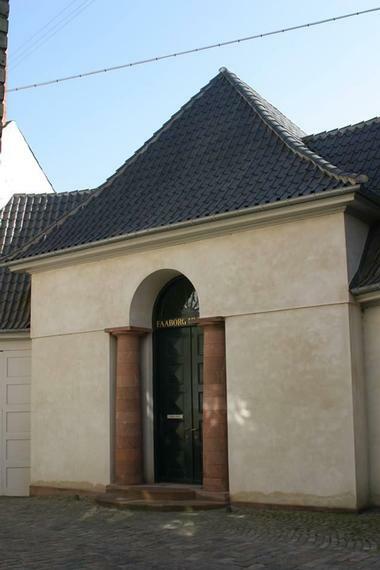 There’s a “workshop” that extends from the house, where Johannes and his wife had their own studio space to work in. A luxurious conservatory with a wealth of plants is situated on the south side of the workshop. Visitors will want to check out the Pax Collection that is located in one of the museum’s exhibition buildings, there they’ll find over 50 artists represented in 15 different rooms, organized by theme. Kramboden is a charming antique furniture store that is situated along Nedergade in Odense, Denmark. The shop is located within a late-16th-century merchant house that has neither heat, nor running water. This darling shop sells everything from Danish flags to bottles to locks to brooms, to a plethora of antiques. 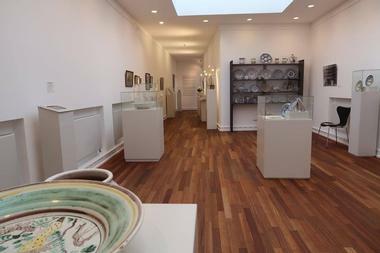 The shop could almost be seen as more of a museum than an antiques store. The shop’s staff is very warm and inviting, and they have plenty of fascinating stories about many of the shop’s artifacts. 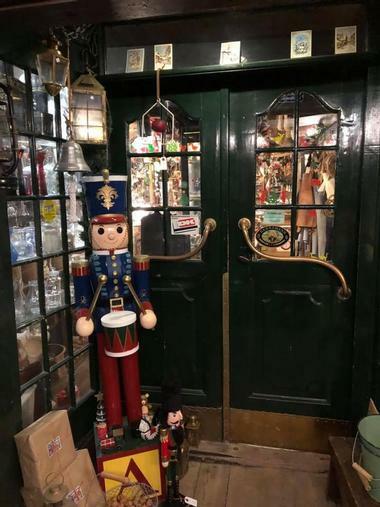 Visitors will also find classic toys, fine glassware, brass and chrome pots and pans, keys, kitchen products, and much more. The Media Museum originally opened as the Danmarks Grafiske Museum (Denmark’s Graphic Museum) in 1984, as a state-recognized specialist museum. When it was opened, it was located on a newly refurbished premises in the old industrial buildings of Brandts Klaedefabrik. 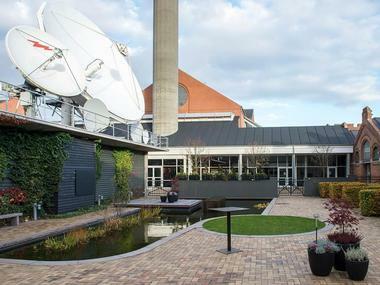 The Media Museum focuses primarily on the history relating to electronic media and print in Denmark. Through new communication initiatives, basic exhibitions, and special exhibitions, visitors will be given a detailed insight into the world of media and what it takes to develop it. Visitors will learn about the critical introduction of media to Denmark’s society, and the role it played throughout its history, as well as the technology used, both present and past. Montegarden is a cultural history museum that is located within the old historic district of Odense, Denmark. The name was originally used by one of the more successful merchant farms that used to lay along the city’s main street. The name is now used to cover Odense’s historical and archaeological museum, which includes the old merchant house, along with an entire block of preserved buildings from over 600 years ago. The museum features a number of fascinating exhibitions for visitors to explore; such as Fun in the Middle of the World, The City’s Life, Pernille Lykkes Boder, Histotoriet, and Children’s Backyard. Naturama is a marvelous natural history museum that is situated along Dronningemaen in Svendborg, Denmark. It is the proud successor of the Svendborg Zoological Museum, which was the state-approved natural history museum in Funen for 70 years. The museum tells the history of animal life in Denmark, both past and present. Naturama features several must-see exhibitions that include The Giants of the Sea, Nordic Mammals on the Catwalk, Northern Europe’s Bird World, and Three Favorite Animals in the Exhibition. Tropical Forests of the World is one of the museum’s special exhibitions, where visitors can learn about one of the planet’s oldest forests, located along the equator. The Odense City Museums is one museum that specializes in four particular fields, located in Odense, Denmark. The fields of study include; The archaeology and ancient monuments of Odense and Funen, The history of buildings and topography of Odense and Funen, Carl Nielsen and Anne Marie Carl-Nielsen, and Hans Christian Andersen. Since the year of 2005, the Odense City Museum has been recognized as a state-authorized institution. The museum preserves a large number of historical artifacts and works of art for visitors to explore, such as manuscripts, wax figurines, and archaeological specimens. It’s a fascinating way to spend the day when visiting Funen. The Odense Fjord is a 13-kilometer-long fjord (a narrow, long, deep inlet of sea between high cliffs) that borders the northern portion of Denmark’s island of Funen. It covers a surface area of approximately 63 kilometers-squared. There’s a plethora of recreational activities available for locals and visitors to enjoy on or around the fjord. Some of the water activities include boating, fishing, kayaking, and sightseeing tours. There are several picturesque beaches and hiking trails around the fjord, where visitors can enjoy a relaxing beach picnic, or perhaps an easy stroll along scenic hiking trails. 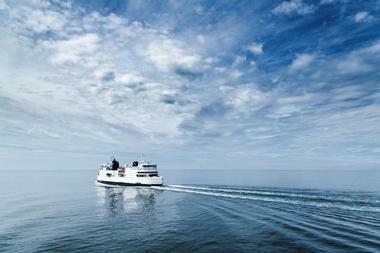 Whether on sea or on land, the Odense Fjord offers visitors plenty to see and do. The Odense Zoo is a sprawling zoological garden that is located just off of Sondre Boulevard in Odense, Denmark. When the zoo originally opened in 1930, it featured only guinea pigs, magpies, one mule, one deer, one peacock, and two apes. 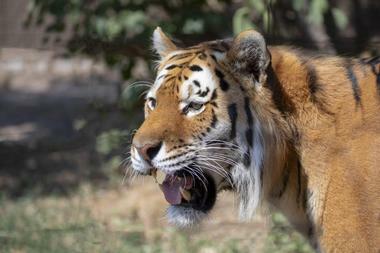 Today, the zoo features many different species of animal from all around the world. Some of these magnificent species include giraffe, kangaroo, reindeer, sea lions, tigers, zebra, and penguins. The zoo also hosts numerous events and experiences throughout the year that are worth checking out, like the Magic Light Evening, Winter Zoo, Twilight Rides in the Zoo, Close to Giraffes, and Zoommerskole. St. Canute’s Cathedral, also recognized as Odense Cathedral, is an impressive cathedral that was named after a Danish king, Canute the Saint, also known as Canute IV. 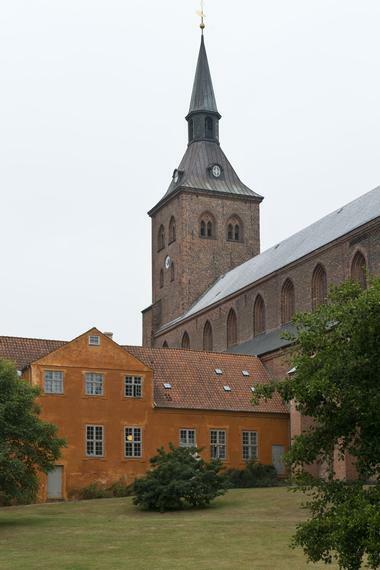 Locals and visitors will find the cathedral situated along Klosterbakken in Odense, Denmark. The cathedral offers a fine representation of Brick Gothic architecture. The most visited section of the church is the crypt, here, visitors will find the remains of Benedict (his brother) and Canute on display. The cathedral’s grounds are extraordinarily picturesque, offering visitors a peaceful and natural setting to enjoy a nice picnic, or casual summer stroll. St. Canute’s Cathedral provides visitors with a fascinating look into some of Denmark’s rich past. 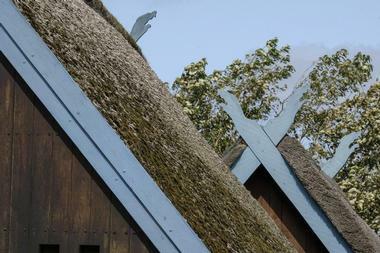 The Funen Village is an open-air museum that is located within the Fruens Boge district of Odense, Denmark. The museum features about 25 different buildings from Funish villages; most of the buildings were constructed during the 18th and 19th centuries. 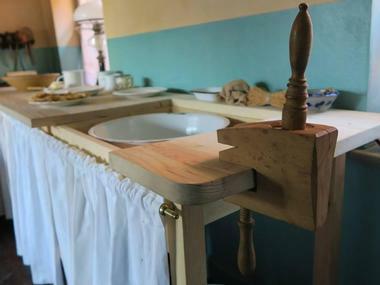 During the summer months, visitors will be welcomed by members of Living History; dressed in appropriate period clothing, they retell the stories of how regular country folk lived in Funen, during the times of Hans Christian Andersen. There are also approximately 50 animals that live in Funen Village, from cows to horses to pigs to ducks, visitors will be surrounded by a lot of livestock. The Viking Museum Ladby is a unique history museum that is located in Kerteminde, Denmark. 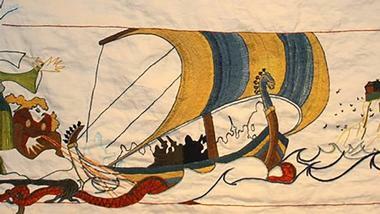 The museum features the world’s only Viking ship, located in the same burial location it was placed in over 1000 years ago. Visitors will have the opportunity to get up close and examine the ship’s burial mound, the intricate details of the remaining portions of ship, and its treasures that are kept within the exhibition building. The burial site features an imprint of the large ship, the nearly 2,000 rivets that kept the planks together, the shroud rings for mast rigging, the original anchor and chain, and 11 horse skeletons. 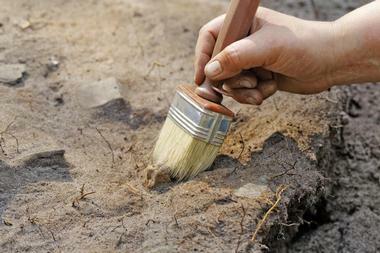 In May of 2013, Odense City Museums began one of Denmark’s largest excavation attempts within Odense – one of the nation’s medieval towns. The excavation took place at Thomas B. Thriges Gade, which translates to ‘Thomas B. Thrige’s Avenue,’ which is situated at the heart of this medieval town. The excavation has un-earthed a number of fascinating finds, such as gold jewelry, a glass ring from the West Slavic area, and mysterious bone plates. The archaeologists have found a surprising amount of gold, silver, and animal bones. Some of the top pieces for visitors to check out include a gold cross pendant from the 14th century, and a gold ring with a granate stone from the 13th century. Thuro is a small, beautiful Danish island that is situated southeast of Funen, belonging to Denmark’s Svendborg municipality. Thuro is located in the South Funen Archipelago, which is comprised of 55 islands altogether. As of 2014, the island has been recorded as having 3,555 inhabitants. Visitors will have no trouble finding unique and picturesque nature experiences on this gorgeous island. 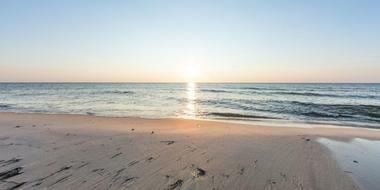 Water lovers will be right at home at Smormosen Beach, with warmer temperatures in the summer, and clean, clear water. The beach is child friendly and features a 40-meter-long pier made from wood. No trip to Thuro would be complete without checking out the Gambot Marina, where unique, black fishing huts line the marina. 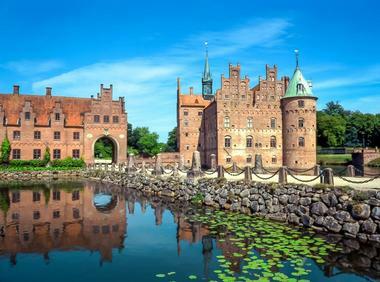 Valdemar’s Castle is a small, charming palace that is situated on the picturesque island of Tasinge, near Svendborg municipality in southern Denmark. The staff within the castle strive to provide visitors with family-friendly, content-rich experiences, seasoned with genuine South Fyn atmosphere and historical grandeur. The variety of fascinating facilities, and the castle’s surrounding nature, offers visitors a myriad of delightful sensory impressions. The trophy and hunting museum that is located on the property houses one of Northern Europe’s largest and most impressive collections of international hunting trophies. Visitors will have plenty of activities available around the castle to keep them busy, such as Segway rides, walks along scenic nature trails, and miniature golf.